Ella and I enjoyed a day mixed with creative projects and cooking. When I was a little girl my Great Aunt Rose would come over to craft with my mom. She would always bring a little project for me to work on. 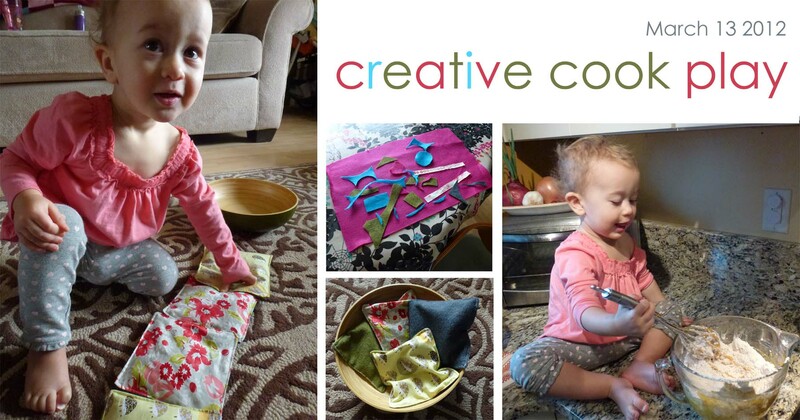 Today, while I created some fun bean bags (inspired by the LovelyMorning blog) made from scrap pieces of felt and printed cotton, Ella worked on her felt collage! So much fun to see her little creative mind having fun. Later we made pumpkin muffins for Ella’s play group. Ella LOVES to cook!